iOS 6.1 is just about ready for prime time. 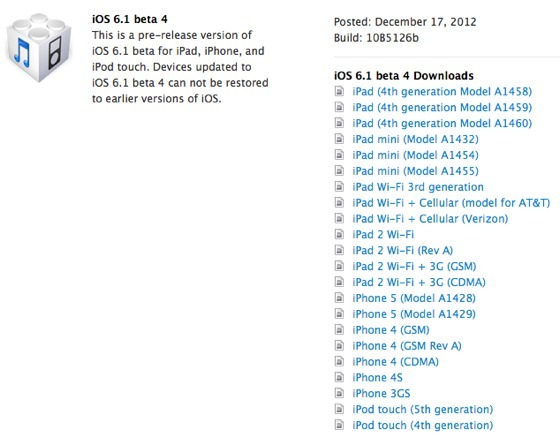 Today, Apple just seeded the 4th beta of iOS 6.1. So far there have not been any major changes that are getting people excited for the release. At any rate, this is build 1085126b and is available as an over the air update if you have the previous beta installed or you can download it directly from the dev portal. Apple also released beta 3 of the Apple TV software, as well as Xcode 4.6 Developer Preview 4.